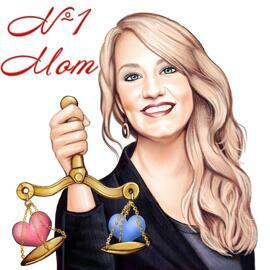 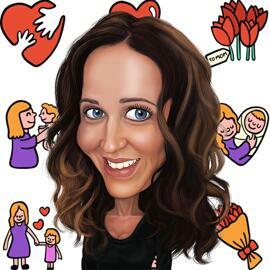 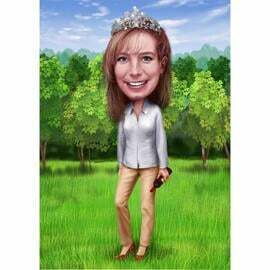 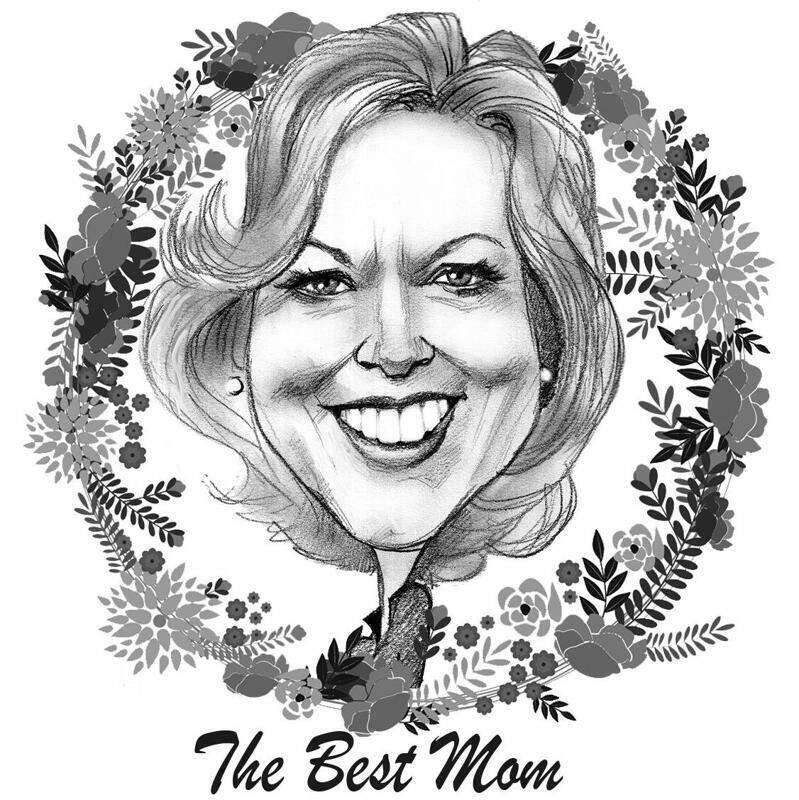 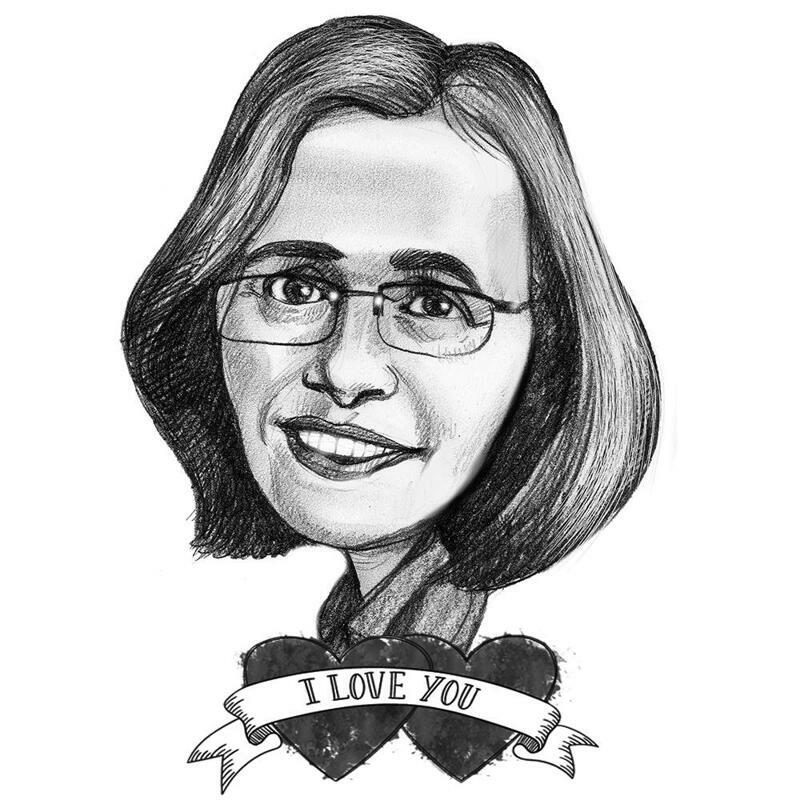 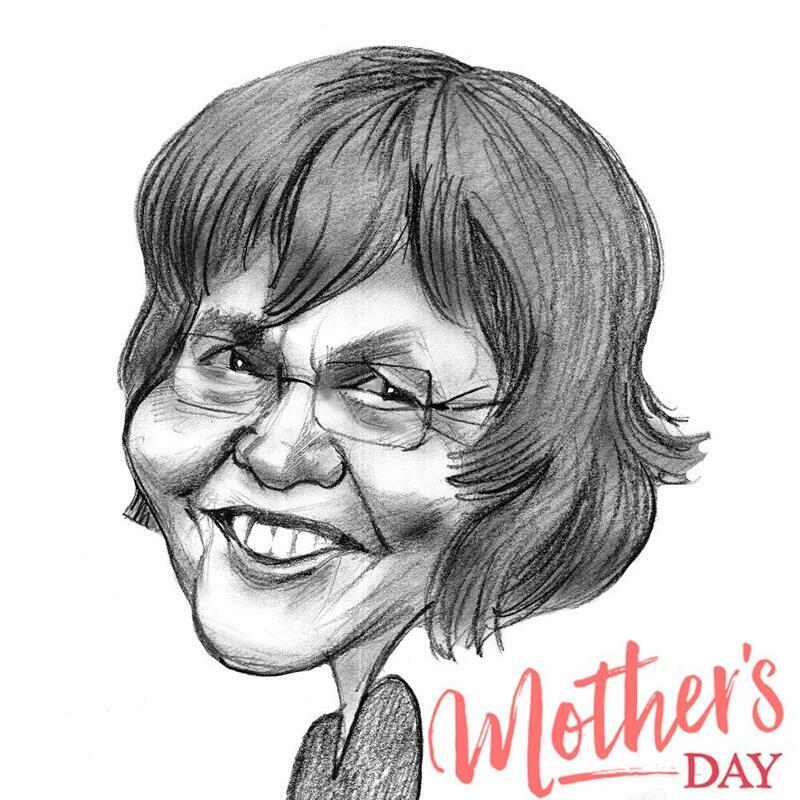 Get a personalized caricature, which will be hand-drawn from photo for a perfect gift idea for any beautiful mother on Mother's Day. 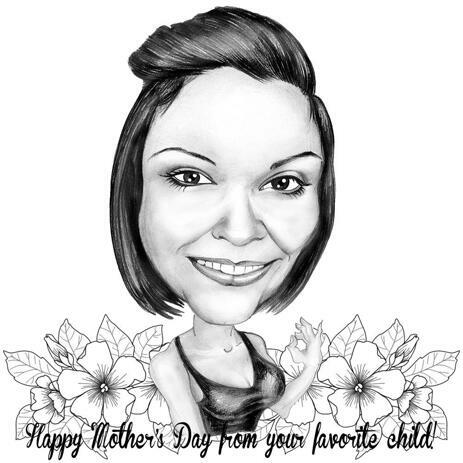 Photolamus will create a funny caricature drawing in black and white pencils style. 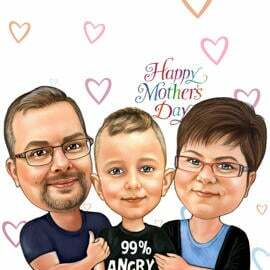 Ready-made caricature can be drawn in any design featuring flowers, hearts or any desired text of your choice can be also add on for free. 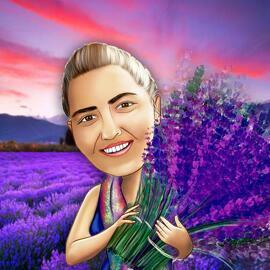 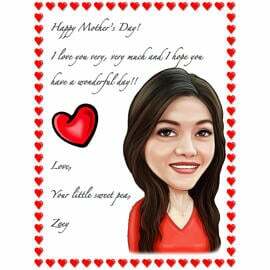 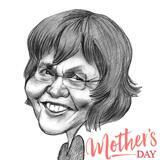 Explore our Mother's Day Caricature Collection in order to choose a beautiful one for your dear mother. 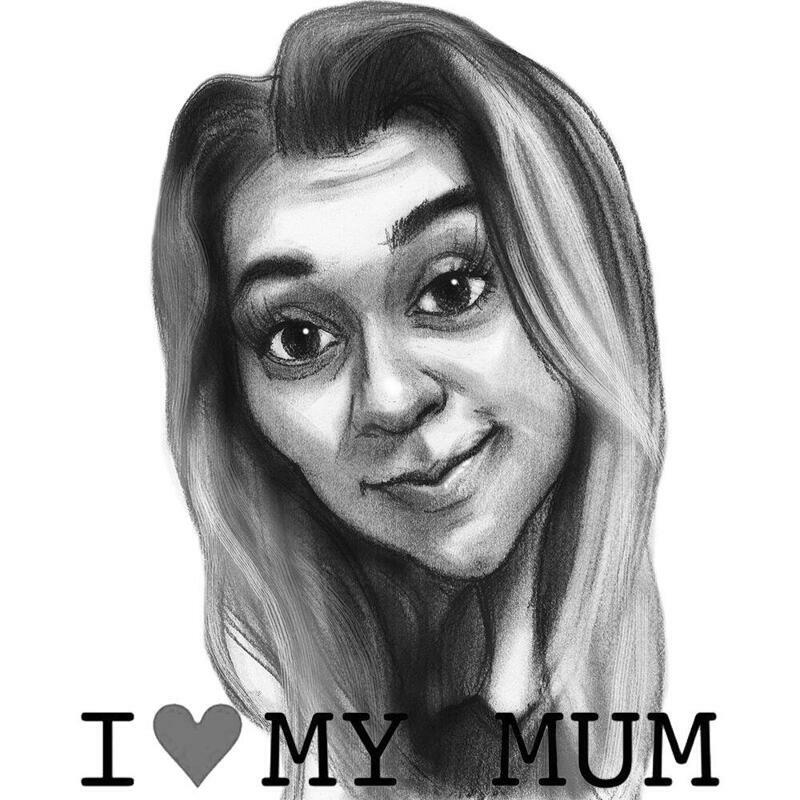 Send us one photo of your mom and we will hand-drawn her in an awesome design in honor of Mother's Day. 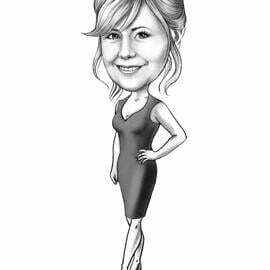 Caricature Drawing will be delivered as a printable JPG File on Email, which can be printed on any surface of your choice. Photolamus offers extra fast delivery for drawing printed on Canvas, Photo paper, Mug or Aprons. 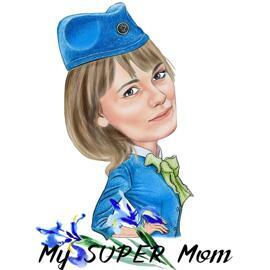 Worldwide delivery.